Over nearly six decades, trial attorney Mike Fawer's prolific career as trial attorney led him to defend a charismatic Louisiana governor, a pioneering Mississippi mayor, and a wrongfully convicted man who spent more than a decade on death row, among many others. In his defense of those clients - Edwin Edwards, Charles Evers, and Curtis Kyles and all the others - Fawer was well known as an aggressive advocate who tangled with prosecutors and judges alike. Fawer's skilled and enthusiastic cross-examinations disarmed opponents and persuaded jurors. But behind his courtroom bravado Fawer's intense trial preparation - including his famously attentive approach to jury selection - culminated, inevitably, with his ability to humanize his clients through believable defense narratives. His impressive acumen in the courtroom was bookended in each of his biggest trials with opening and closing arguments - handwritten, as was Fawer's custom - that captivated news media, the public and most importantly, members of the jury. 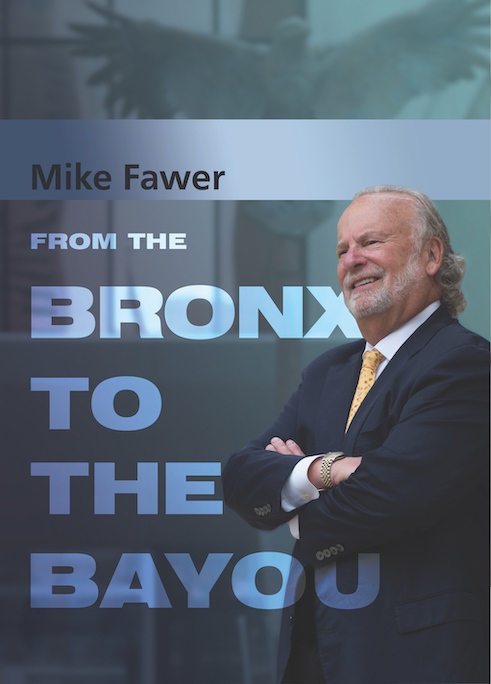 In his memoir, From the Bronx to the Bayou, Fawer gives readers a behind-the-scenes look at his wins, losses, and acrimonious relationships with judges that have fascinated colleagues and opponents for years. Meet characters from Fawer's criminal-defense career including a murderer who danced on his mother's grave, a detective who wrote crime novels sprinkled with all-too-familiar police antics, a well-known businessman charged with his wife's murder, and a doctor accused of injecting his mistress with HIV. Beyond work, Fawer offers tales of his sometimes-contentious family life and his side ventures as a boxing and Broadway- show promoter.